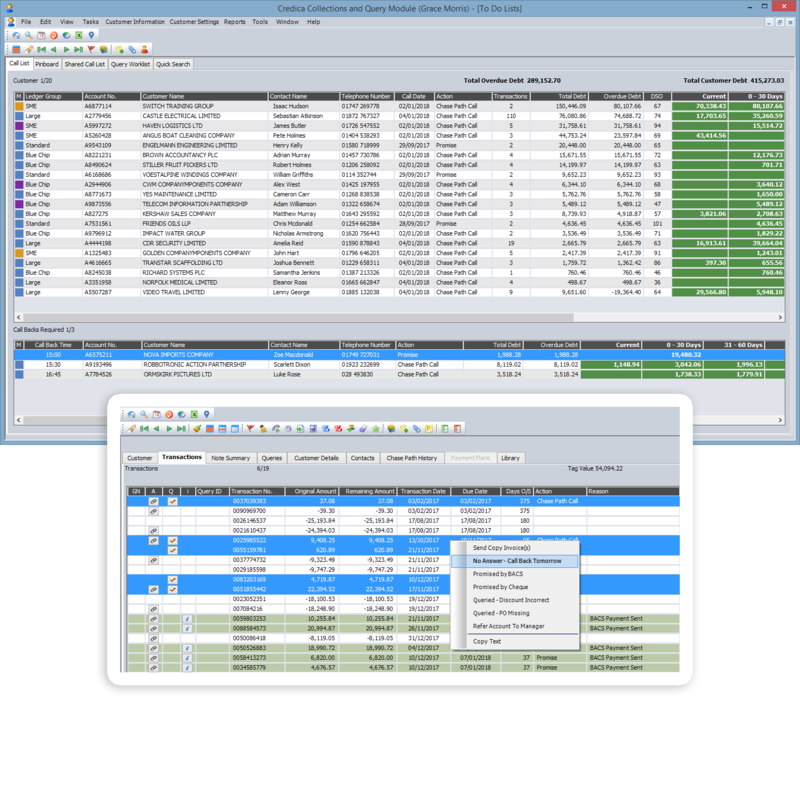 Our Cash Collections module has been designed around all of the needs of a Credit Control department. It provides your team with automated, rule-based worklists, with a full overview of customer information and all chasing history – including a diary function with automatic follow ups. Your dunning letters, statements and invoices are automatically printed or e-mailed based on your chasing policies – additionally, documents such as copy invoices and statements can be e-mailed on demand, in seconds, all whilst you are on the phone talking to your customer. Credica facilitates and streamlines a crucial part of your order to cash process. Configurable, workflow based chase rules. We tailor your Credica system to suit the way you need to work. However, the majority of the system can be tailored by you to continue allowing you to improve and evolve your credit management processes whenever you need to. Everything that happens to a transaction is automatically recorded. Everything that happens to a customer is automatically recorded. Your Credica system becomes a super-useful wealth of information, from all diary entries, notes, attachments, unlimited contact details, e-mails, invoices, statements. Pretty much everything! No more single points of failure, just a single point of information. 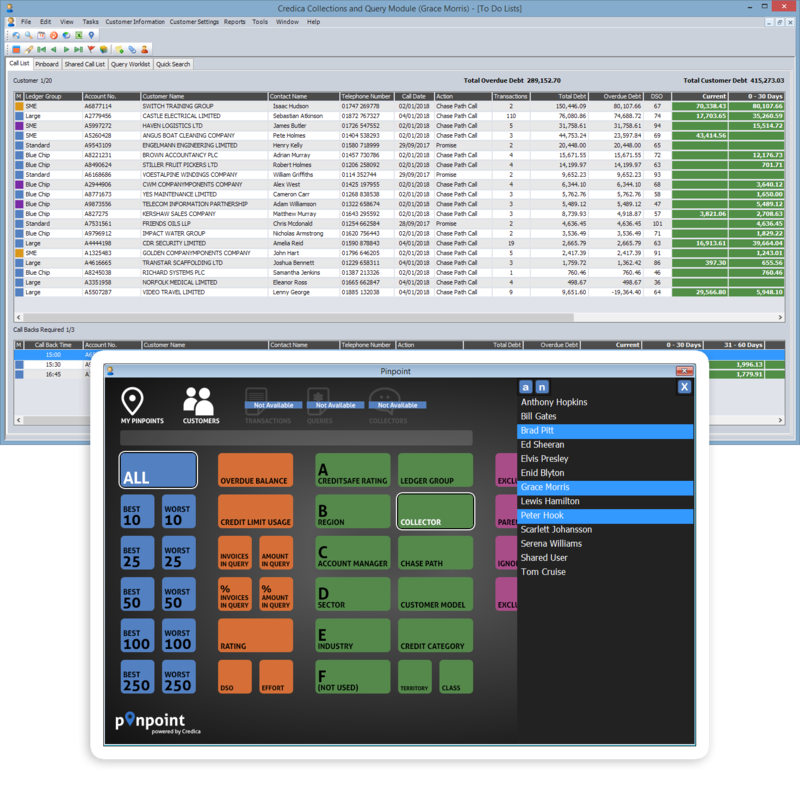 When dealing with customer requests, you can benefit from the built-in diary system. This is used to automatically track and follow-up unpaid debt, whilst serving your customer. 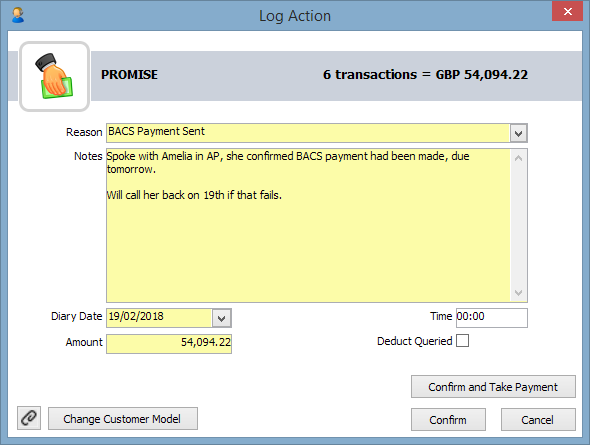 For example, sending copies of invoices is a diary action – although Credica sends these out as part of the diary action, the debt is still unpaid and needs to be tracked. Credica does all of this for you. This also contributing to reporting and analysis, for example Credit Controller activity, and Promised Cash.